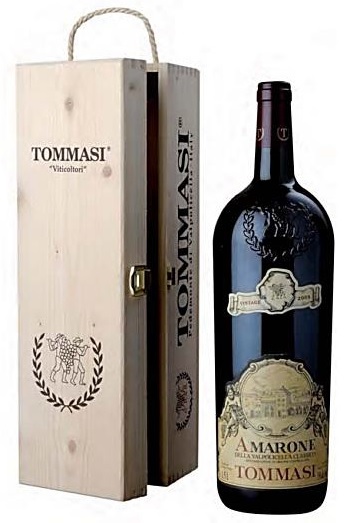 Tommasi was founded in 1902 and has grown to be the largest family-owned vineyard estate in Valpolicella Classico. 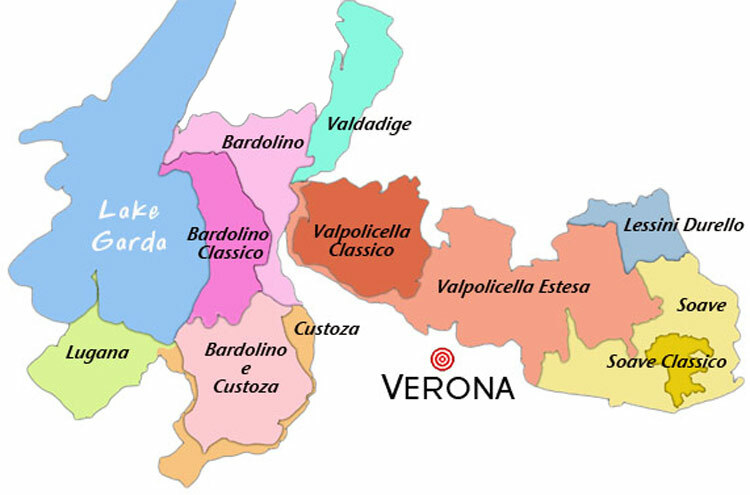 Tommasi is located in Pedemonte in the heart of the historic ‘Classico’ region, from which the best quality wines are produced. 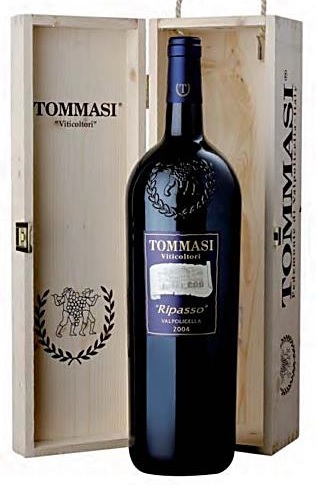 From grandfather Giacomo’s small vineyard holding, the Tommasi estate has grown over the years and today comprises 195 hectares of vineyard including 105 hectares in the Valpolicella Classica and 15 hectares in the Lugana DOC. The family own vineyards in some of the prime hillside sites in the region: ‘La Groletta’, ‘Conca d’Oro’ and ‘Ca’Florian’, where the grapes for the Amarone Classico, Ripasso, and Valpolicella Classico Superiore are cultivated. 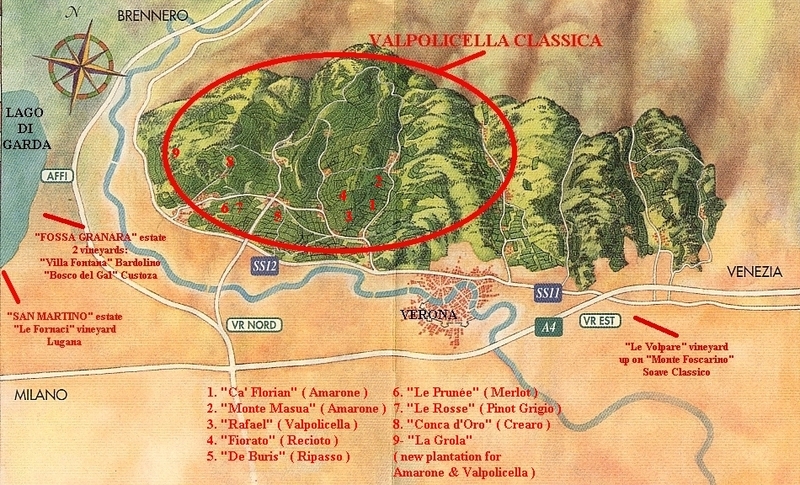 The most prestigious wine of the Valpolicella is the opulent Amarone, one of Italy’s top wines. 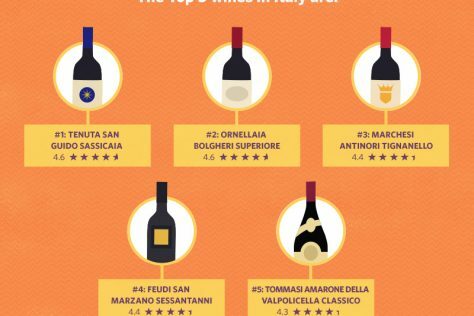 Produced from the four Valpolicella grape varieties; Corvina Veronese, Corvinone, Rondinella, Oseleta, and cultivated on hillside terraces, only the best and most mature bunches are hand selected for the two Tommasi Amarone wines. The grapes are dried by the cool autumn breezes after harvest and are crushed and fermented the following February. The estate is owned and managed by the fourth generation of the Tommasi family, with six family members working together in harmony. 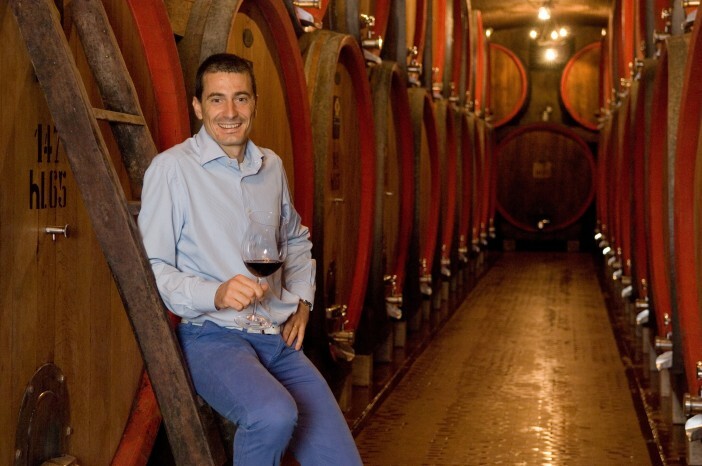 Pierangelo manages the UK market, while winemaker, Giancarlo prefers to stay close the vineyards and winery. 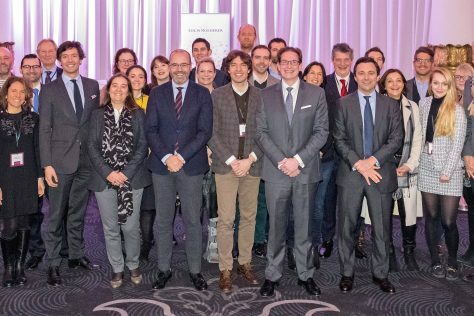 Leaders in their field, Tommasi are also one of the founding members of the ‘Amarone Families’, a collective of family-owned and run, vineyard owners, established in 2009 to provide a focus for quality Amarone production and distribution worldwide. Vibrant lemon in colour with a fresh bouquet, floral and fruity notes with hints of peaches and white flowers and a crisp finish. 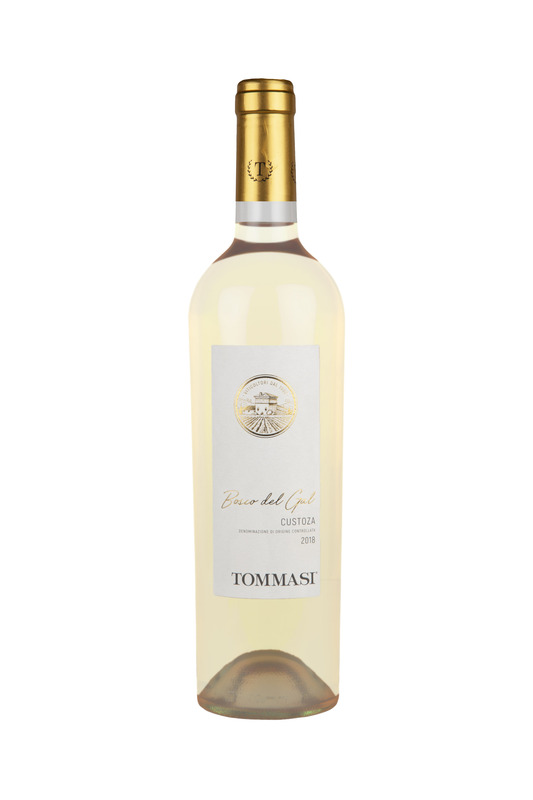 Pale yellow in colour, this wine has floral and delicate citrus perfumes. Delicious pear and floral flavours with a crisp, dry finish. Pale, bright yellow in colour, this wine has delicious perfumes of tropical fruit and an appetising spicy character. Medium-bodied with attractive minerality, citrus notes and a zingy, crisp finish. Ruby red in colour. The perfume is fresh and fruity, with lots of cherry fruit. Flavours of sweet cherry and chocolate with a smooth and supple drinkability, make this wine an easy drinking delight. Bright ruby red, with fresh red cherry perfumes. Flavours of sweet cherry and chocolate with a smooth and supple drinkability, make this wine an easy drinking delight. Ruby red in colour, this wine shows perfumes of crushed black raspberry, black cherry, plum compote, dried herbs and mulled spice, which follow on to the palate. 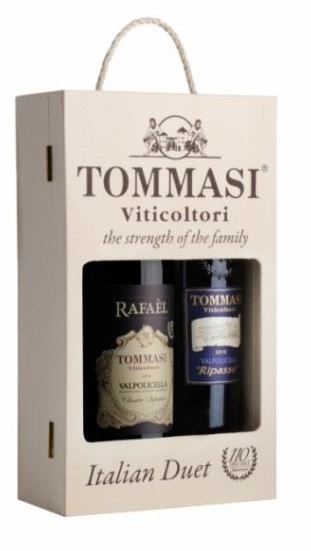 It is concentrated and supple with black cherry and plum flavours and a long, refined finish. The colour is intense, deep ruby red. Flavours of crushed black raspberry, black cherry, plum compote, dried herbs and mulled spice. The taste is full bodied, juicy, spicy red with a riding creamy palate and a long, refined finish. Deep ruby red in colour. This wines has aromas of dark berry fruit with spice and black pepper notes and a hint of raisin. 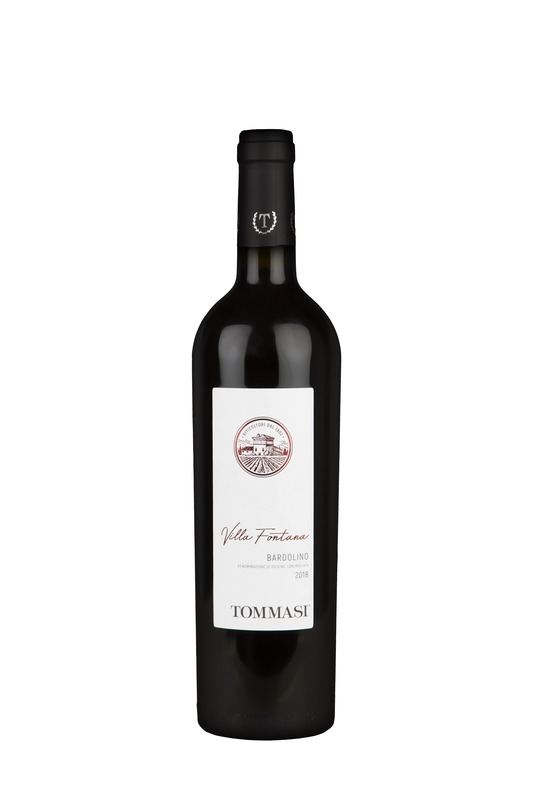 It is opulent and smooth, with lovely intensity of fruit and some spicy notes with sweet cherry flavours on the finish. Deep ruby red in colour. Rich spicy perfumes and black pepper notes with a hint of raisins. Full bodied and balanced, very intense and spicy with sweet cherry flavours. Deep ruby in colour. 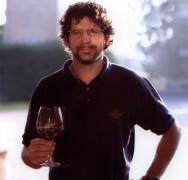 The wine has complex aromas of ripe cherry, black fruit, wild berries and warm spices. 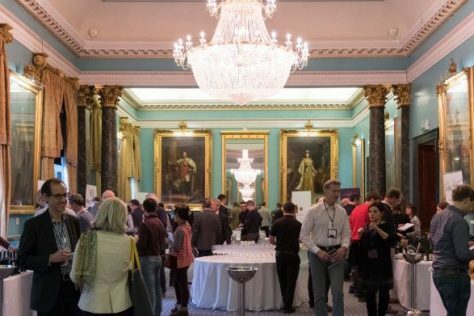 The palate is concentrated with excellent structure and flavours of ripe black and red fruits, leather and dark chocolate. A perstisting and prefumed, velvety finish. Deep and intense on the nose with aromas of dried cherries, plums and spiced fruit compote. 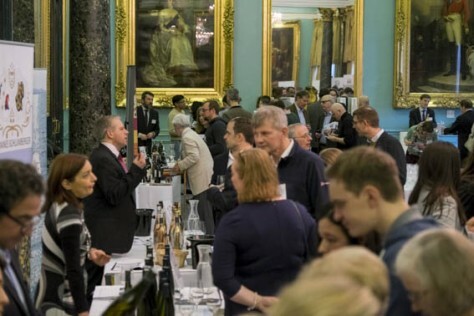 The palate is powerful with an excellent balance of ripe tannins, spice and savoury fruit character. Deep ruby red colour with garnet shades. Good persistence on the palate with elegant tannins and pleasant sweet balsamic velvety tones. Balanced after taste with great pleasure and enveloping. Ruby red colour purple with good intensity and density. Spicy scent of dried figs, cherries, herbs. 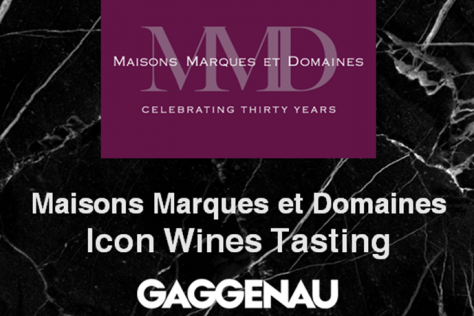 A structured red wine with a remarkable personality. Complex and elegant on the nose, with a rich bouquet of black fruits; plums, cherries and blackberries. Red fruit perfumes, balsamic and spicy nuances with a hint of dark chocolate. The alcohol is perfectly integrated with the silky tannins, a wine of great elegance with a long finish. Bright ruby red in colour. Intense plum perfumes with floral notes with a touch of sweet spice. The Fiorato is full-bodied and velvety, with flavours of red plums and cherries with a touch of sweetness on the finish. 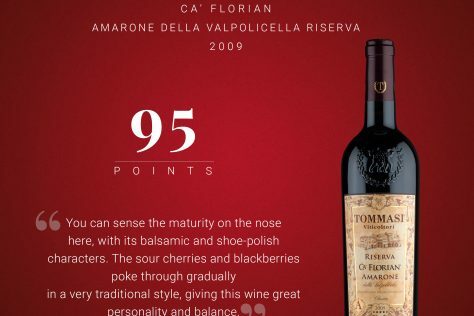 Ca’ Florian scores 95 Points!